Twin Oaks in Fritton, near Great Yarmouth sleeps 7 people. 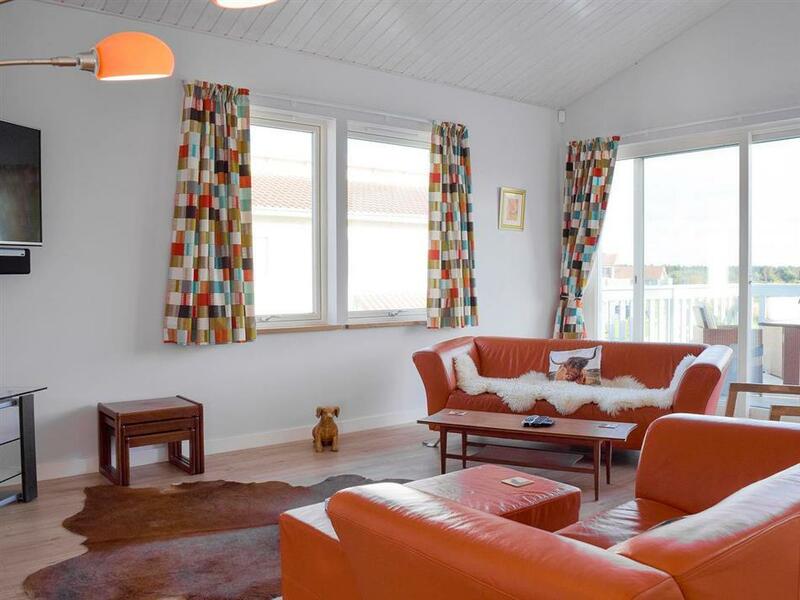 Twin Oaks near Great Yarmouth can be found located on the exclusive Fairway Lakes Lodges site; Twin Oaks is an impressive Scandinavian-style, detached lodge, which is the perfect spot for your getaway. 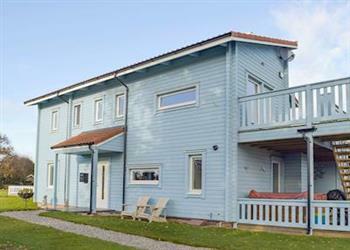 The excellent layout lends itself to larger families with three en-suite bedrooms, a large and welcoming kitchen/dining room and the added luxury of a covered hot tub on the veranda. Enjoy the open views of the surrounding golf course, lakes and nature from the first floor balcony. The local area has much to offer with Fritton Lakes only a short walk away, as well as the largest of the Redwing Horse Sanctuary centres and the award-winning beaches at Gorleston and Lowestoft just a short drive away. Situated on the edge of the Broads National Park, there is something for all the family to experience. The Norfolk beach is 5½ miles. With the shop 3½ miles, and the pub & restaurant 1 mile from Twin Oaks near Great Yarmouth. Kitchen/dining room: With breakfast area, electric oven, gas hob, microwave, fridge, freezer, dishwasher, tiled and wooden floors, and patio doors leading to garden. Living room: With 42 Freeview Smart TV and wooden floor. Bedroom 2: With zip and link king-size bed (can be 2ft 6in twin beds on request) and en-suite with shower over Japanese bath, and toilet. Bedroom 3: With double bed, child's bed (for flexible sleeping arrangements), Freeview TV and en-suite with shower cubicle and toilet. LPG underfloor central heating, gas, electricity, bed linen, towels and Wi-Fi included. Welcome pack. Lawned garden with patio, garden furniture and gas barbecue. Balcony. Private parking for 2 cars. Hot tub for 6 (private). No smoking. Please note: There are 2 fenced lakes in the grounds. Holidays at Twin Oaks run from Friday to Friday. For a better idea of where Twin Oaks is, you can see Twin Oaks on the map below. Twin Oaks is in Norfolk; should you be on the lookout for a special offer, you can find all the special offers in Norfolk. It's always worth checking to see what is on offer at the moment. Do you want to holiday near Twin Oaks (UKC1116), you can see other cottages within 25 miles of Twin Oaks; have a look to find your perfect holiday location.